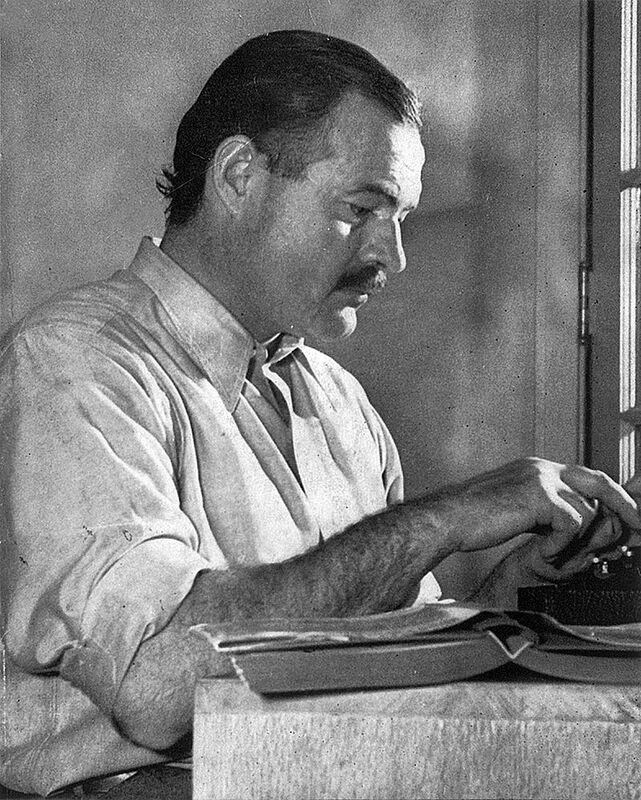 Hemingway never wrote a treatise on the art of writing fiction. He did, however, leave behind a great many passages in letters, articles and books with opinions and advice on writing. Some of the best of those were assembled in 1984 by Larry W. Phillips into a book, Ernest Hemingway on Writing. We've selected seven of our favorite quotations from the book and placed them, along with our own commentary, on this page. We hope you will all--writers and readers alike--find them fascinating. Note: An earlier version of this post appeared on our site in February 2013. I’ve honestly enjoyed Hemingway ,he wrote quite a few thing that I could use and improve my writing with . Old man and the sea is an absolute masterpiece, utterly flawless in every way. I have read it more times than I can count through the years. I don’t remember where I read these pieces of advice. They all helped me to write more clearly. Some of these you can derive from Hemingway. 1. Be your own proof-reader and editor. After going back to what I previously wrote, I found all kinds of mistakes in continuity, grammar, and especially incongruous paragraphs and sentences. 2. Don’t try to save a bad paragraph. Delete it, and rewrite. 3. Use a spell checker. A spell checker helps to prevent you, from looking like you’re still in the 3rd grade. 4. When my Son was in the 5th grade he had an assignment to write a one – two paragraph story. After looking over what he wrote, I asked him to re-read is story later on. Hours passed. When he returned to his homework assignment, he found that some of what he wrote made little sense. I pointed out to him that if you can’t make sense of your own writing, don’t expect anyone else to. 5. A Thesaurus is not an ancient reptile, with an excellent vocabulary. You should keep one on your desk, along with a dictionary. So far, I’ve edited at least half of the sentences I just wrote. I deleted 2 paragraphs, and corrected some grammar as best I could. I’m not the Grammar Police. “Perfection is not a place you arrive, but a road you travel.” L. F. Edder <–me. As Schoenberg did of Bach, Beethoven, Mozart, Brahms……. See how things happen. Tell things in the manner of being told. Any tips on writin non-fiction fin genres for books like: Sapiens by Noah Harare or Future of Humanity by Michio Kaku? Your site “Open Culture” is one of the best and well designed sites I have seen on the Web in many years….. When I recently accidentally came across it , from “Pocket”, and I read you admonition to have me turn off my ad blocker, at least for your site, I feel very divided, because I do not know how to do that easily! Several times ,( Firefox is my browser), I have turned off Ad Blockers, only to have trouble turning it back on!! I am an older guy, and I just cannot stand pop-up video ads!! There are today, so many sites, asking for money, running endless pop up ads, often with sound and video, it is enough to make me simply give up and turn off my devices….HELP! !